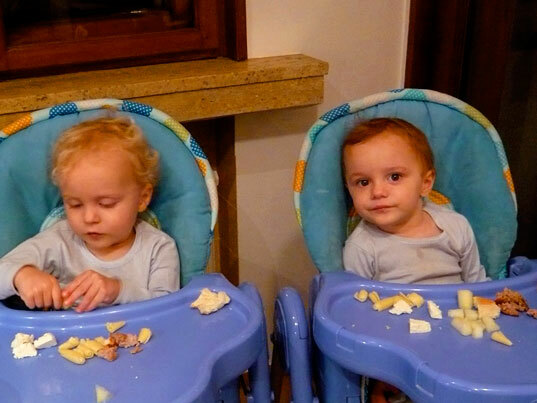 Should vegetarian parents raise vegetarian children? As a longtime vegetarian—except for a brief lull during my pregnancy (blame my mother)—it’s one of the major questions I’m personally facing. (A recent story in the Los Angeles Times about food being a source of stress and strife for carrot-crunching children only increased my ambivalence.) Vegetarianism, or veganism for that matter, is a personal choice—should I be making my daughter’s choice for her before she can even speak? Will I be depriving her of vital nutrients she needs for her developing brain and body? I decided to turn to my favorite resource for assistance: my fellow moms, all of whom present a different case for the food choices they’ve made: Abigail and her twin sons are omnivores, Beth and her daughter are vegetarians, and Jill and her son are vegans. Omnivore is perhaps too broad a definition to describe my family’s dietary guidelines, but on most occasions we opt for the freshest vegetables, fruits, dairy, grains, fish, and meats available. 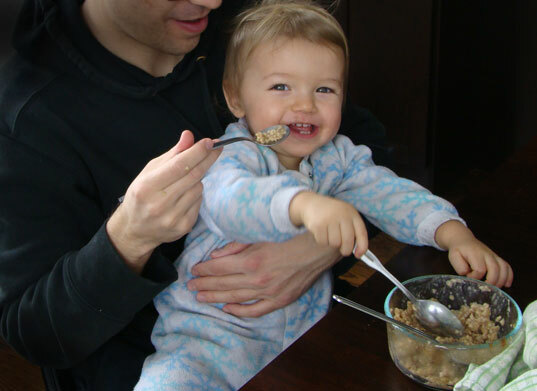 I have, in years past, lived as a strict vegetarian and a macrobiotic, but I somehow felt as a new parent that it was my responsibility to introduce my babies to a vast cornucopia of foods as they began their lives and developed a like or dislike for certain foods. My husband and I have made a commitment to always shop for the freshest ingredients available and also make it a practice to buy locally and seasonally as much as possible. I grew up on a small dairy and sheep farm where we milked and annually slaughtered our own grass fed, rotationally grazed animals, so my outlook on incorporating dairy and meat into a regular diet was obviously informed by this homegrown experience. My husband grew up in Europe where he was accustomed to eating very well and, of course, enjoyed home-cooked meals that his Italian mother treated the entire family to. I think that the most important thing to relay and share with your children in terms of their relationship with food and the world at large is an understanding of balance. Being aware of where your daily food comes from is also vitally important as well as acknowledging the resources that were required for growing, producing, harvesting, and transporting these goods. I have made it a habit, when traveling, to try to eat as the locals do. Eating indigenously is typically a way of ingesting the right foods for the right climate. When in Nepal and Bhutan years ago, I opted to eat grilled meats and drink butter tea, something I would not do while living in the States on a vegetarian diet. I also abide by the rule that it is better to celebrate local customs when on the road than trying to impose your own regime and strict beliefs. I also think that mealtime should be celebrated as an occasion to create community and also talk about what is presented on one’s plate and the bounty being shared. 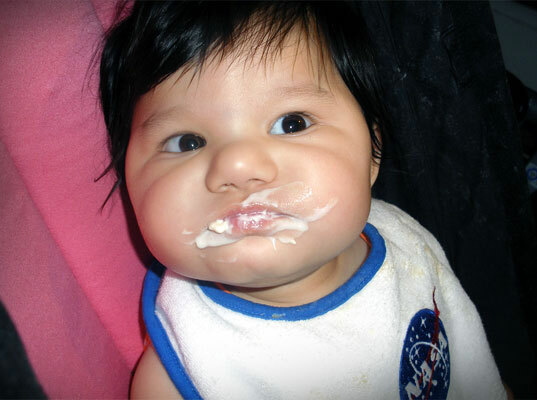 We always try to eat dinner with our toddlers and introduce them to new foods by eating some ourselves and then offering them a bite. I would prefer that they have a healthy understanding of what constitutes quality nutrition when it comes to their diet than my being dictatorial at this stage about what they can and cannot eat. That said, I think that it is the parent’s responsibility to do proper research on where meats, poultry, fish, and dairy are sourced from and how the animals are treated. There are no shortcuts on this front, and I would prefer to eat less meat, etc. for a higher quality (ethical) product, i.e. one that I can trust and responsibly share with my family. I have been a vegetarian for a decade, a choice I made out of a deep emotional concern for and love of animals. I do not agree with they way the vast majority of animals being bred for meat are being slaughtered for human consumption — and additionally, eating meat is decidedly bad for the planet. Until a week ago, my family was divided on the meat-eating front. My husband was raised by a vegetarian mother, but opted to consume meat throughout his life. However, when our daughter was born, it didn’t even dawn on us to start feeding her meat. We concluded that the amount of research required and monetary expense that went along with finding and purchasing responsibly raised and farmed top quality meats, poultry and safe seafood was a signal to not take her down the path to eating animals. If it required that much footwork, these foods didn’t seem like they should be a part of her diet — we prefer to feed her foods that we know for a fact are safe and responsibly farmed. As an interesting side note, my 2 year old daughter has a play kitchen that somehow got peppered with her animal magnets. She began to serve up cows and chickens on her tiny play plates as a joke, handing them to me and then giggling, “we don’t eat ANIMALS mommy!” As if the concept was so foreign it was laughable. I don’t even think she would choose of her own accord to eat chicken, meat or fish if we offered it to her, as she has such a deep affinity for animals. Instead, we feed her all organic fruits and vegetables and whole grains, which we purchase from local sources. Last week, my husband watched the films, The Cove and Food Inc. After learning what he did about the food industry in Food Inc., and then witnessing the brutal slaughtering of dolphins in The Cove, he declared, “no animal should die for my sake,” and he became a vegetarian. Now we are united on the dietary front as a family, and I am beyond thrilled. My ultimate goal is to become a vegan, but in the meantime, my family buys organic, hormone free milk, organic cage free eggs, and organic cheeses from local, responsibly tended farms. We give our daughter nutritional supplements to ensure she receives all of the nutrients she needs, and we are certain she is not suffering in the slightest by not eating meat. Unless you’ve been living under a rock, you probably realize that meat consumption and the meat industry is bad for the planet — as it contributes to the decimation of the rain forest, famine and malnutrition around the world, it takes much more energy to produce than plant foods, and is responsible for 18% of the world’s greenhouse gas emissions. Despite the growing awareness of these facts, many veggie-friendly, eco-conscious people are still scared of the word “vegan” — equating it with militantism, PETA rallies, and a strict, boring, bland diet of carrots and sprouts. As a card-carrying vegan mama, raising a vegan kid, I hope I can convince you otherwise; this is a great, easy way to live your life and a super-healthy way to raise a child! When I gave birth to my son, I did question whether or not I wanted to raise him vegan — mainly because I wasn’t sure if he was going to get all the nutrition he needed from a vegan diet. Articles and books like Nina Planck’s ‘Death by Veganism‘ have spread misinformation about vegan parenting and made it seem like raising your child vegan is an irresponsible thing to do. There is nothing further from the truth. In reality, a growing child can get all the nutrition he needs from a vegan diet – but of course, parents have to be careful and conscious of what their child eats. Veganism forces parents to understand proper nutrition and to take care about fostering a balanced diet. It doesn’t work well with lazy parenting. It should be pretty obvious to most rational people that a vegan child is not going to thrive on a diet which consists solely of soy milk and apple-juice. 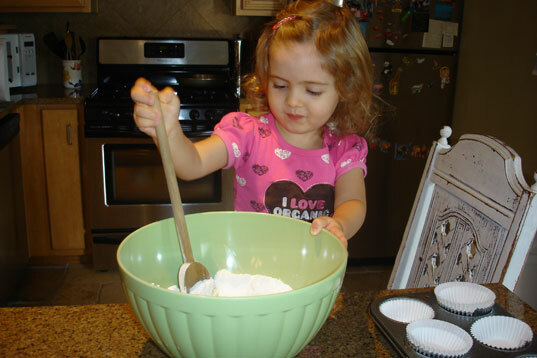 Growing tots need plenty of protein, iron, vitamins, healthy fats and AHA/DHA for growth and proper brain development. 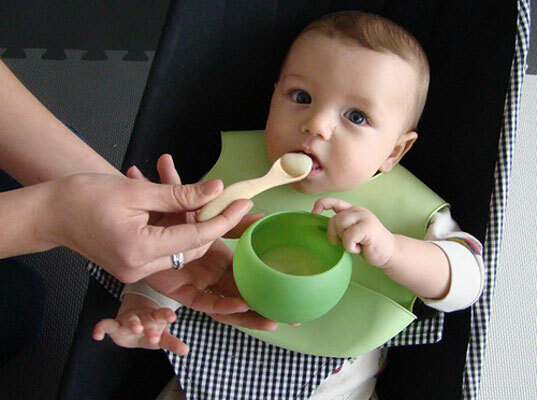 The best way to do this as a vegan is to breastfeed your child for as long as possible and make sure that the solid food they eat consists of whole, unprocessed, healthy-fat, vitamin-rich and protein-rich plant foods such as avocados, bananas, beans, leafy greens, tree nuts (not peanuts) and coconut. Now that my son is a rambunctious toddler with boundless energy, I’m convinced that raising him vegan is the way to go. Of course he will be free to make his own choices about food when he gets older, but I am convinced that it is a parent’s responsibility to foster good health, shape developing taste-buds, and model healthy eating patterns for their child from a young age so that the child will be able to make responsible, informed, and healthy choices about food when they are older. So far the vegan thing has been pretty easy with a toddler: my son loves to eat tofu and vegetables and doesn’t yet have enough interaction with non-vegan kids to feel like he is missing out on anything. The one thing I am a little anxious about is this: what do we do when he hits birthday party age, and is surrounded by kids eating non-vegan cake and ice-cream? I don’t really have an answer for this quandary yet, but I’m guessing we’ll play it by ear and probably let him experiment with whatever non-vegan food he wants to eat so he doesn’t feel like he is being deprived. I don’t want to be overly strict and risk raising a kid who rebels against his parents by becoming a meat-eater. I want my son to feel like he has choices with his diet, and I hope that after experimenting, he will eventually choose to commit to veganism himself when he is all grown up. Thanks for this post! My husband and I are both vegetarian (me for 20+ years, him for 10+ years). Our families are not (except for my sister in law). Our daughter just turned 11 months and this subject has already lightly been discussed. I know that one day we will be pressured to give her meat, which is not something I necessarily have a problem with. We plan on feeding her vegetarian until she wants to make her own food decisions. If she chooses meat, I'll be okay with that, as long as she understands what she is eating. I will not be okay with her eating processed, hormone injected, cruelly treated animals. We live in a city (Gainesville, FL) where vegetarian options are many, as are organic, local, ethically treated animals. Our families live in Orlando where it is harder to find vegetarian options, let alone locavore food. We haven't fallen to our families' pressures yet (e.g "You're going to a birth center?? That's not safe! "), but this is not a battle I'm looking forward to. I sometimes think our families think we're crazy. Around the holidays, they couldn't figure out why we wanted the toys we wanted (mostly wood or eco-friendly), instead of the latest piece of plastic junk. My in laws actually got a cute sippy cup that we will never use. lol... when I read what I'm writing, it makes me wonder if we aren't overly crazy about what she plays with and eats... oh well! Thanks for covering these three food options. It's nice to get some options from parents whose kids are older than ours. Keep up the good work! Great post! I was raised Vegetarian when I was a kid for a while til my mom decided to feed us meat, but I hated it - the taste. I guess I wasn't used to it. I used to cut up my meat and stick it in my milk to hide it. Then when I was old enough I said no more meat. When Cedar was born I'd been a vegetarian for years so it didn't make sense to feed him any meat. Since he's an unschooler he's got food freedom (meaning I don't make or not make him eat anything) but since he was raised on veggies and fruits that's what he usually wants. The only thing that's been hard about it for us is that Cedar was bad about eating things like pasta or bread until very recently so I was a little worried because all he ever asked for were veggies and fruits - not so well rounded. Now he's gotten a little more into grains. 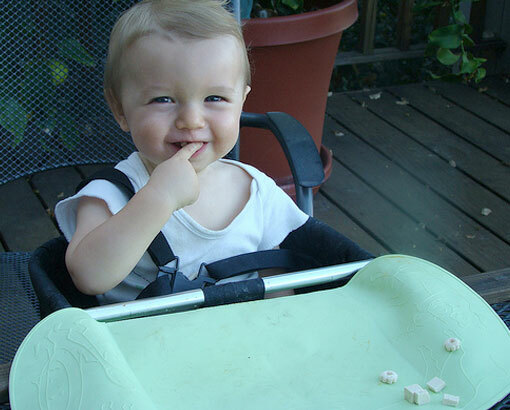 When he was a baby we got a lot of slack for raising him veggie, but not from his pediatrician, who thought it was fine. Mainly family members were upset about it. I just ignored them though. As a parent you hear a lot of opinions about why and how you're raising your kid the way you are, but it's best to go with what you think is best. I have four children who are all vegan. 10, 8, 3 and 11 months. What happens when u visit parties where their eating options are limited? Nothing-- if you have discussed with them before hand that it's a non-vegan party. I reward the kiddies for being understanding that not everyone eats the way that they eat. It's good people training, since they are not kiddies forever and the end goal is to be responsible, compassionate adults. It's also a good idea to bring snacks and treats that they can eat. I have even sent them to parties where family members have offered them food and they refuse because it's not vegan. I am a raised vegetarian. Married a vegetarian girl. There was no discussion about the way we would raise our children. My son and daughter are now adult and still vegetarian. We never had any problem when they went to a party. People knew we were vegetarian and didn't give our children meat or fish. Never had any problem in rasing our children as vegetarian. You're making your daughter's choice for her when you give her meat, too. Also remember there are lots of unhealthy aspects of eating meat. 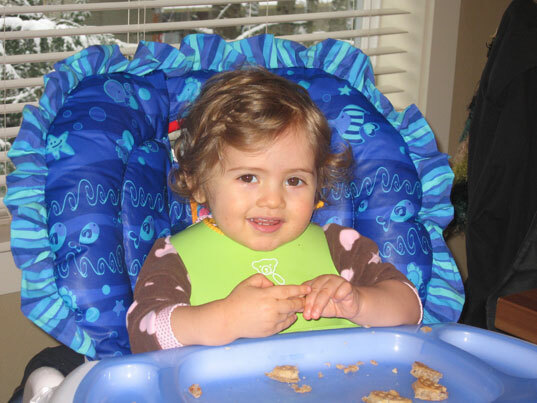 When I was afraid my daughter wasn't gaining enough weight when she was 8-10 months, I checked out meat baby food to see if it was demonstrably higher in iron or protein, but it wasn't, so I skipped it. Now she's the tallest kid in her class, and seemingly the strongest. I'm a vegetarian and my husband eats meat, but he was fine with raising our daughter vegetarian. I have three teenage stepsons who eat meat. I figured our daughter would see her brothers and others eating meat, and if she asked for it, I planned on giving it to her. We never made an issue of it; we just gave her the food we gave her, though she figured out pretty quickly she didn't eat meat. Last November, at 3, she asked if she could have turkey at Thanksgiving. I said "Well, it's meat, you know." She said "I know," so I said "Sure, you can eat it." She must have just been wondering if it was a rule being imposed on her, because she didn't want turkey at Thanksgiving, and now she's almost militant about her vegetarianism, telling servers at restaurants (who then sometimes suggest a menu change if the beans have lard or whatever) and plenty of other people, like she's proud of being different. Just wanted you to know that it's not that hard and not unhealthy to raise a vegetarian baby, and she has no psychological food issues, at least not yet. I hope it stays that way, and I don't plan on laying any veggie guilt trips on her her if she wants to change her mind! Should vegetarian parents raise vegetarian children? As a longtime vegetarian�except for a brief lull during my pregnancy (blame my mother)�it's one of the major questions I'm personally facing. (A recent story in the Los Angeles Times about food being a source of stress and strife for carrot-crunching children only increased my ambivalence.) Vegetarianism, or veganism for that matter, is a personal choice�should I be making my daughter's choice for her before she can even speak? Will I be depriving her of vital nutrients she needs for her developing brain and body? I decided to turn to my favorite resource for assistance: my fellow moms, all of whom present a different case for the food choices they've made: Abigail and her twin sons are omnivores, Beth and her daughter are vegetarians, and Jill and her son are vegans. Jill's son Petey loves tofu!